A possible requirement for automakers to put standard back-up cameras in all their new vehicles has been delayed again. This time, the deadline for the federal government to determine the requirements will be pushed back to 2015. According to Bloomberg, U.S. Transportation Secretary Ray LaHood sent a letter to Congress last Thursday informing members of this decision. Congress originally passed a law back in 2007 for the National Highway Traffic Safety Administration (NHTSA) to come up with requirements on how to increase rear visibility in vehicles. However, the final requirements have been delayed several times. In the letter to Congress, Bloomberg says LaHood mentions that the cost for every life saved by having the back-up cameras could be as high as $18 million, and adds that they need to investigate the cost further before making a final decision on the requirement. In the meantime, The Detroit News says, “the National Highway Traffic Safety Administration plans to encourage automakers to add the cameras by proposing to disclose which cars have the cameras in the government’s New Car Assessment Program.” The distinction will be made by adding a “Recommended Advanced Technology Feature” label on those vehicles on a government website. 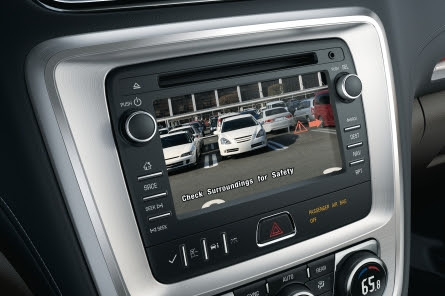 While NHTSA says making rearview cameras mandatory is not cost-effective, the agency found that back over crashes result in up to 7,419 injuries per year. While most of the incidents are minor, there are still about 183 fatalities a year. Although the deadline to finalize the rule has been pushed back until 2015, automakers likely won’t be required to install back-up cameras in all their new models for at least another 18 months after that. As of now, it looks like the rule, if finalized, won’t take effect until the 2017 model year.